The city is dotted with numerous temples, palaces, mosques, and other grandiose structures that stand as mute yet concrete testimonies of the conurbation’s glorious past. One such edifice is the magnificent structural complex of Gandhi Smriti that is situated right in the heart of the city. Also referred to as Gandhi Memorial, Gandhi Smriti stands proudly in ‘Crescent Circle’ area and houses a picture gallery and an archive. 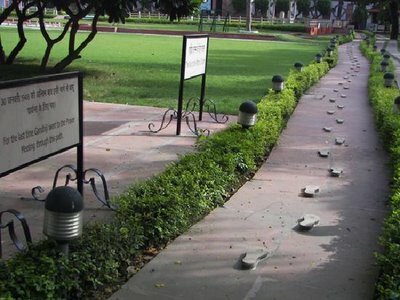 The memorial is replete with books, documents, souvenirs, photographs, memorabilia, and other trivia that encapsulates and chronicles the life and times of Mahatma Gandhi. The museum archiving the different collectibles associated with M.K. Gandhi is on the first floor while there is a separate floor that stocks countless books dedicated to the Mahatma. The Barton Museum is on the lowermost or ground floor of the memorial. The Gandhi Memorial originally used to be the abode of India’s celebrated business magnate-G.D. Birla and was therefore known as Birla Bhavan. Mahatma Gandhi spent the last five months of his life in Birla House before he was killed in cold blood in 1948 on 30th January. Later on, the building was remodeled and refurbished to house the various memorabilia related to Gandhi. 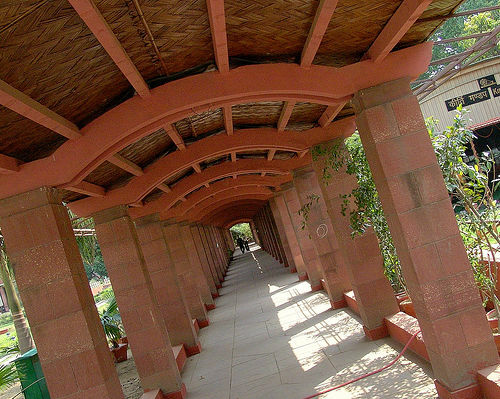 This structure was rechristened as Gandhi Smriti and was thrown open to the public in 1955. Besides the library, museum, and the picture gallery, there is the Khadi Gramudyog Bhandar that repositories embroidered products and local handicrafts. The Gandhi Smriti has been built in the Crescent Area in Krishna Nagar within the city of Bhavnagar. The memorial stays open on all days (excepting Sundays) from 9-1 in the 1st half and 2-6 in the 2nd half. The ideal time to visit Bhavnagar is from October to March.